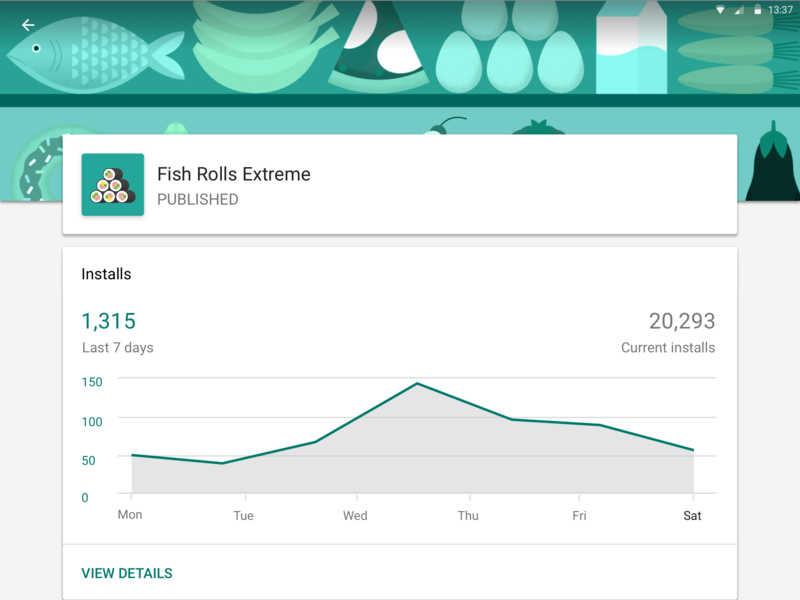 Paid apps are quite obviously a huge part of the Android ecosystem and in particular, the Google Play Store. 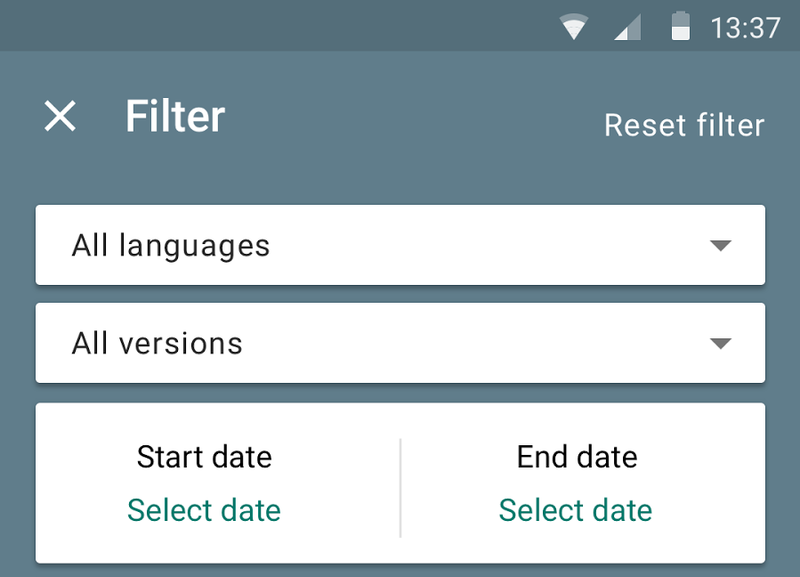 Today, Google's doing a bit of reorganising to ensure that, on the developer end, paid orders and settings are the easiest and simplest they can be. 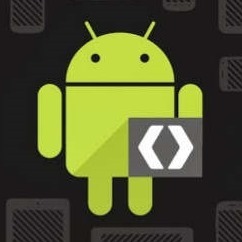 'Order Management,' which developers will know handles the paid orders for subscriptions and in-app purchases, is moving from the Google Payments Centre to the Google Play Developer Console, where most things to do with the app's Play Store entry is managed from. 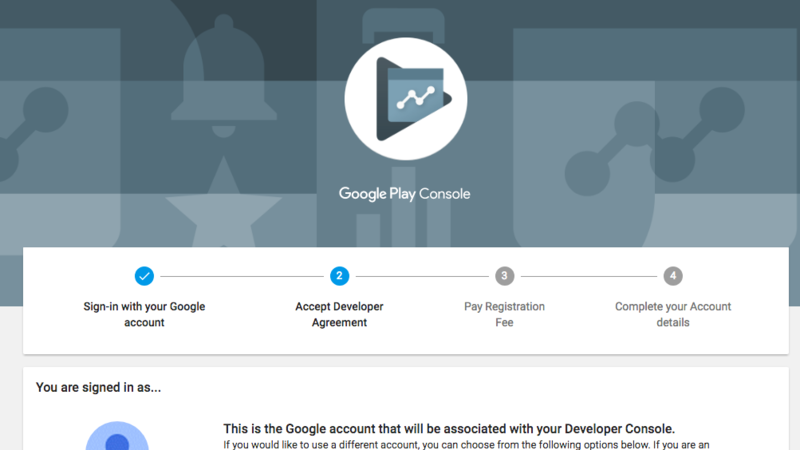 The payments settings - bank accounts and other such things - is also going to be available in the Developer Console, in addition to being available on payments.google.com, as it always has been. There are multiple reasons to leave a review in the Play Store. One is to convey to other users how good or bad an app is. Another is to communicate to the developer. Google has recently changed up the dashboard that software creators see when they sign into the Developer Console. The new page shows how ratings have changed over the course of days, weeks, and months (pictured above). 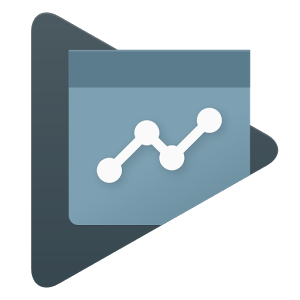 This overview makes it easy to see if the release of a new update has any effect on user impressions. 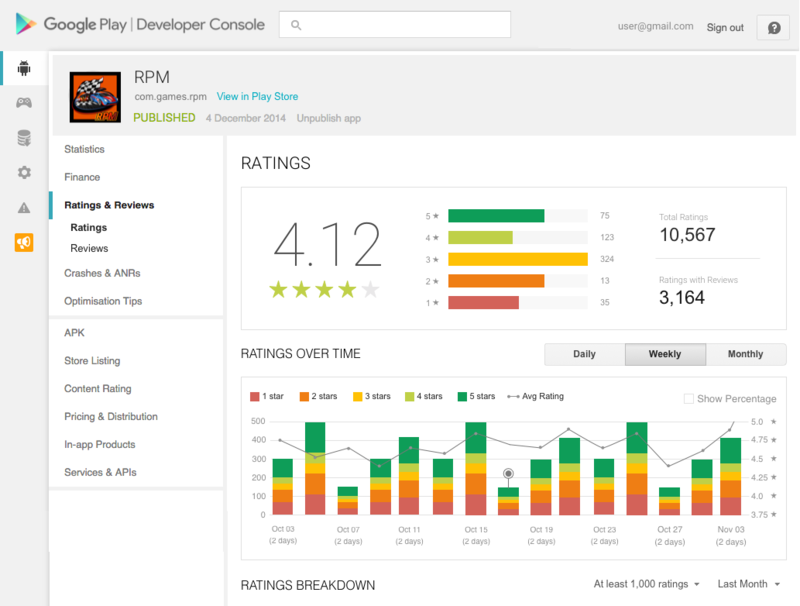 Developers can also break down ratings by location, language, and other variables. Running a good business requires an intimate knowledge of anything and everything that affects its operation. This means keeping track of numbers, reports, and any other data that can possibly be accumulated. Distributing apps on the Play Store is no different. Developers need to know if users are leaving bad reviews, if their apps are crashing, or if the install numbers suddenly rise. While the Play Store does tracks these things and more, many companies have more specific needs. 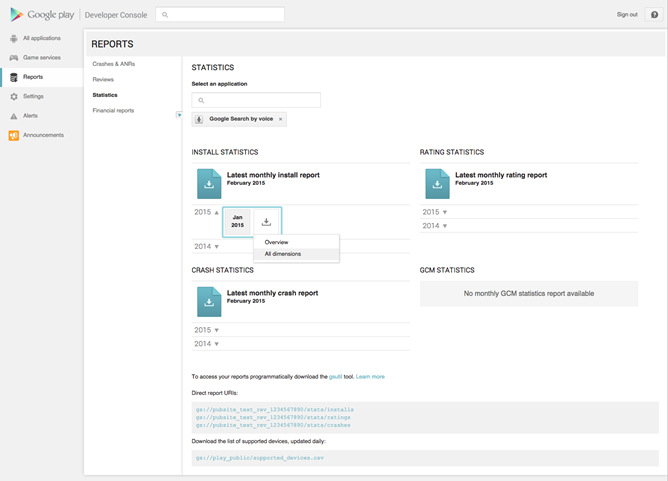 Google is now allowing developers to export this data so it can be analyzed and re-used in many different ways. Data is available in an assortment of reports for subjects ranging from financial details to crash records.